As mouth-watering as those flagship $2000+ gaming laptops may be, they infrequently sell anywhere near the volume as more affordable budget and mainstream alternatives. We compare and contrast the top gaming notebooks that users are much more likely to purchase. 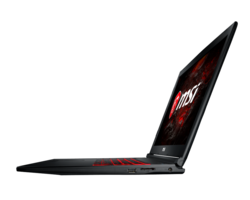 We have a number of Top 10 lists ranking the best gaming notebooks money can buy for several different categories. While these lists are often populated by models we most recommend, they do not accurately reflect the actual purchasing habits of most users as our rankings often do not consider price as a factor. .
To get a better sense of which notebooks are actually flying off shelves and to help readers make potential purchasing decisions, we've teamed up with iBuyPower who have provided for us a list of their best bestselling gaming notebooks in the last quarter ending Q4 2017. The North American company is a major reseller of MSI and Asus notebooks and so the data is indubitably skewed towards these two manufacturers, but the results are valuable nonetheless. 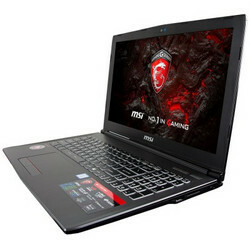 After all, MSI and Asus account for nearly half of all gaming laptops shipped in a pool of several dozen manufacturers. 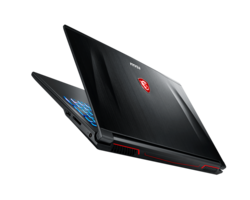 The following 10 gaming notebooks from iBuyPower have sold more units than any other configuration offered by the reseller. We've also provided both links to our reviews and core benchmark comparisons for each model, though our data and tested configurations may differ slightly from SKU to SKU. Please note that this list is not sponsored by iBuyPower and that Notebookcheck receives no commission from units sold through the reseller. 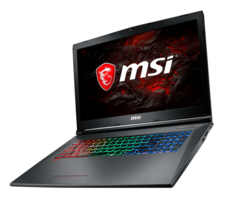 With sales totaling more than 3x the number 10 bestseller, the 17.3-inch MSI GF72VR is quite new and barely a full year old. The mid-range GF series sits between the lower-end GP/GL series and higher-end GE series to offer a compelling package for mainstream gamers. In our full review of the system, we praised its gaming performance, quiet SteelSeries keyboard, loud speakers, high quality FHD panel with 3 ms response time, fast storage performance, and relative ease of serviceability. Core temperatures are also quite cool for a gaming notebook at about 70 C when gaming compared to 80 C or warmer on many thinner alternatives. While GTX 1050 GPU options are available on this model, it appears that the faster GTX 1060 is the more popular configuration. It's easy to see why this system is a hot item considering its balanced price and features. We highly recommend applying our ICC calibration file on the 1080p 120 Hz SKU to get the most out of the display since its colors and grayscale can be rather poor out of the box. Once set, the system will be able to play most modern titles at 1080p60 on High to Extreme settings. 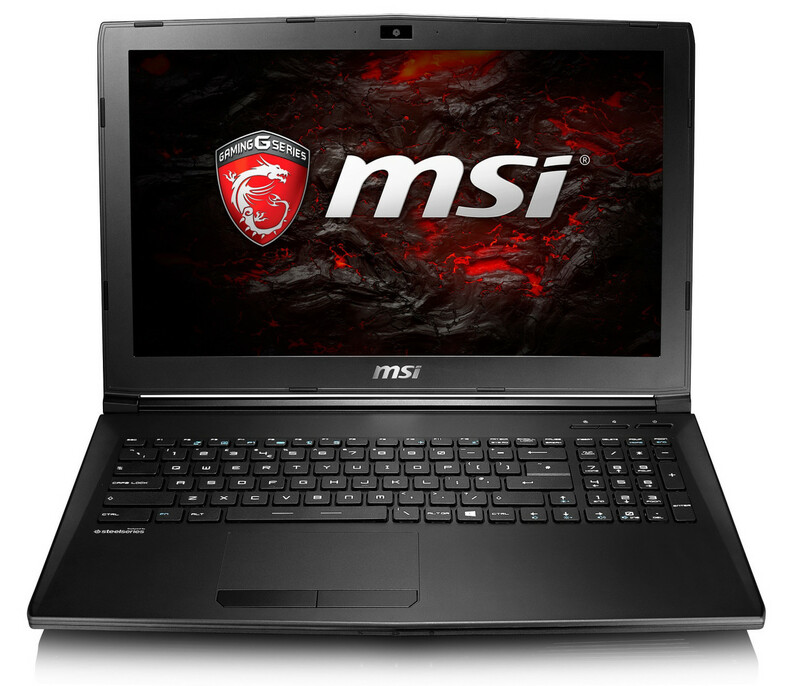 See our full review on the MSI GF72VR here and its product page here. Second to the mid-range GF72VR is the more entry-level 15.6-inch GL62M equipped with the GTX 1050 GPU. This particular configuration is smaller, lighter, and perhaps more importantly $500 USD less expensive than the 17.3-inch GF72VR above with similar I/O. Its chassis, however, is quite fragile around the lid and its screen is even less color accurate than the GF72VR without a proper calibration. There are no 120 Hz refresh rate or keyboard backlight options since the GL62 series targets gamers on a tighter budget. Even so, the GTX 1050 GPU is very close to the GTX 965M in raw performance for the ability to play modern titles in 1080p30 and at Medium to High settings. Older and less demanding titles like Bioshock Infinite can run at Maximum settings while maintaining 60 FPS. Like on many budget gaming notebooks, certain SKUs of the GL62M ship with slower HDDs to save on costs. We recommend outfitting the GL62M with a small primary M.2 SSD paired for the OS and a large secondary HDD for storing games to increase system performance. Users can often save money by purchasing the M.2 SSD separately and installing the drives themselves. 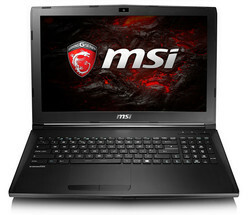 See our full review on the MSI GL62M here and its product page here. The third bestseller is simply the 15.6-inch version of the 17.3-inch GF72VR from above. Appropriately called the GF62VR, the notebook utilizes the exact same chassis as the GL62M but with the GTX 1060 GPU instead and with additional superficial styling on the outer lid. In short, it is essentially a GL62M with most of the features and raw power found on the GF72VR including the backlit keyboard, faster GPU, higher RAM capacity, and optional 4K UHD display. Note that the 15.6-inch GF62VR is only about $100 less than the 17.3-inch GF72VR despite both having nearly identical hardware features. Users who intend to game more at home and less at libraries or LAN parties may want to consider the roomier 17.3-inch version instead. 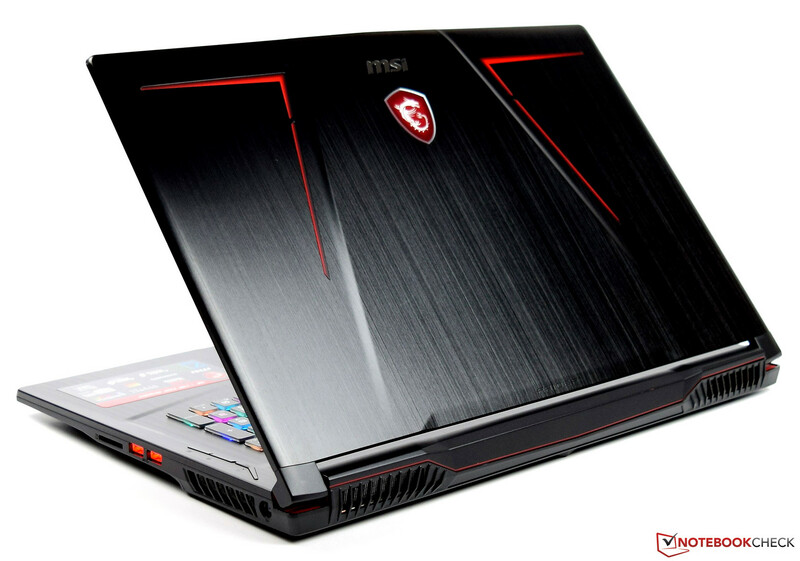 See our full take on the MSI GF62VR here and its product page here. Fourth in line is another SKU of the GL62M with the slower dual-core Core i5-7300HQ instead of the quad-core Core i7-7700HQ on the GL62M from above for a 30 percent drop in processor performance. This particular version also drops the secondary HDD for a final price that's $100 to $150 cheaper than the number 2 slot. Otherwise, everything else remains identical. Sales of the top three notebooks on this list are very close to one another while the step from number 3 to number 4 is comparatively wider. Most gamers definitely prefer the Core i7 name and we can't blame them since the i5-7300HQ is starting to show its age against more recent Kaby Lake-R offerings. In real-world gaming loads, however, the drop in frame rates from a Core i7 SKU to a Core i5 SKU is very minor especially when paired with the budget GTX 1050. As a result, this particular GL62M configuration is still worth the buy for users on tighter budgets. 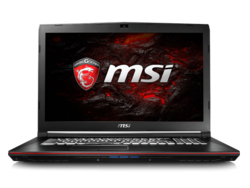 Behind 4 different SKUs of MSI notebooks is the budget 15.6-inch Asus Republic of Gamers GL503VD. 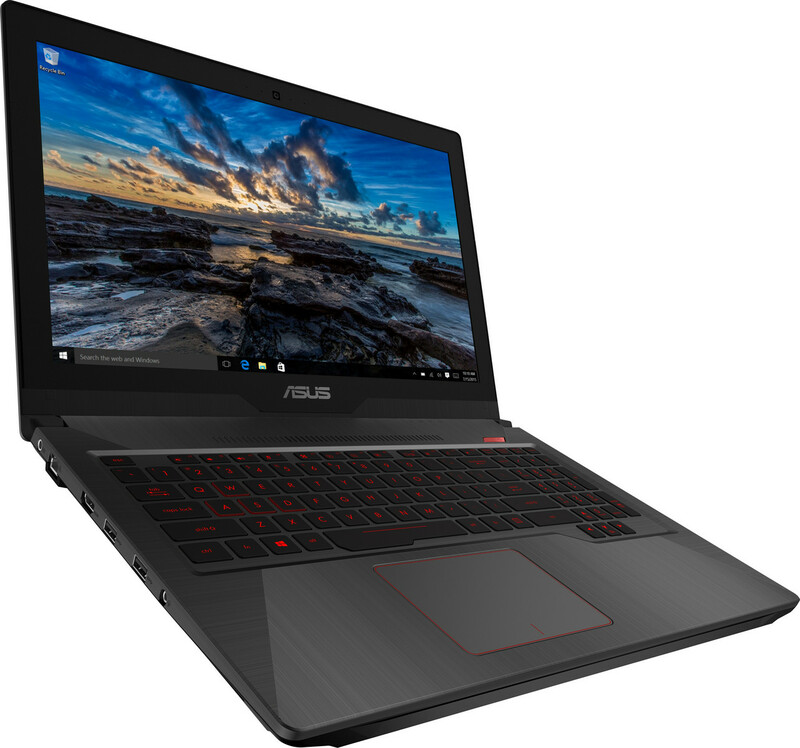 Its core specifications are very similar to the second-place GL62M including the i7-7700HQ CPU and GTX 1050 GPU, but the Asus is equipped with double the RAM (16 GB vs. 8 GB DDR4) and double the VRAM (4 GB vs. 2 GB GDDR5). The system is also much thinner than the GL62M (23 mm vs. 29 mm) while weighing about the same to be the more portable option. Direct disadvantages to its smaller size, however, are the warmer surface temperatures and warmer GPU temperatures when under heavy processing loads. The size and RAM advantages of the GL503VD over the GL62M carry a $200 premium. Current Asus SKUs do not even carry a primary SSD and serviceability is more difficult compared to the MSI systems above. We recommend any potential buyers to weigh these pros and cons wisely. After four 15.6-inch notebooks in a row, the MSI GP72X is only the second 17.3-inch notebook thus far on iBuyPower's bestsellers list. Unlike all the notebooks above, however, this particular model is equipped with the GTX 1050 Ti to be in between the performance levels of the GTX 1050 and GTX 1060. Note that the chassis is identical to the GF72VR in all three dimensions with essentially the same physical advantages and disadvantages. The price of the GP72X is only about $150 shy from the graphically superior GF72VR sitting in the number 1 spot. Users who choose to invest in the GF72VR instead will see a noticeable 40 to 50 percent boost in GPU performance over the GP72X and with less ghosting as well due to faster display response times (3 ms vs. 5 ms). The slightly higher price of the GF72VR is worth the investment to our eyes and most gamers seem to agree based on the placement of the GP72X relative to the GF72VR. Seventh place is simply the 17.3-inch version of the 15.6-inch GL62M equipped with the same GTX 1050 GPU, 8 GB of DDR4 RAM, and I/O ports as its smaller sibling. The i7-7700HQ CPU and 1080p IPS display are fixed, but end-user upgrades for the M.2 SSD, HDD, and RAM are still possible as with the GP72 series, GL62 series, GF62 series, and GF72 series. It's the most affordable 17.3-inch gaming notebook on this list albeit the slowest for its size. The sales gap between numbers 7 and 8 is considerably larger than the sales gap between numbers 6 and 7. This particular configuration of the GF62 is essentially the same as the GF62VR above but with the slower GTX 1050 Ti GPU instead of the GTX 1060. In other words, buyers are sacrificing 30 percent slower frame rates in order to save $200 USD. Chassis features, of course, are otherwise identical between the two GF62 SKUs on this list. Note that this GF62 SKU retails for the same price as the Asus GL503VD above but with a faster GTX 1050 Ti GPU. In this case, the Asus machine has the size advantage as it is comparatively thinner and lighter than the MSI. The 15.6-inch Asus FX503VD is the one chassis on this list that we have not yet fully reviewed as it is not visually identical to the GL503VD. We can, however, extrapolate based on its specifications relative to other systems sporting similar hardware and the older FX502. 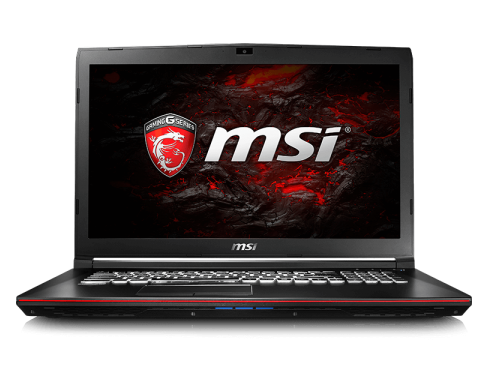 The Core i5-7300HQ CPU, GTX 1050 GPU, and 8 GB of DDR4 RAM compete directly against the similarly equipped MSI GL62M sitting in fourth place. This Asus unit, however, is $50 more than the MSI equivalent and that small premium can be attributed to the thinner (24 mm vs. 29 mm) profile. As with most Asus gaming notebooks, serviceability is likely a bit tougher compared to MSI and fan noise may be louder as well. Still, it's a very affordable system for users who want something sleeker and more portable than the GL62M. See the product page for the Asus FX503VD here. The last notebook on this list is probably the most interesting as it is about twice the price of almost any other system before it. 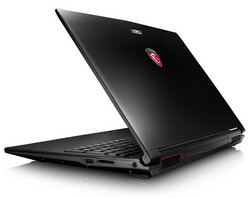 The performance-oriented 17.3-inch GE73VR is relatively new to the MSI GE family and it is only a step down from MSI's pricier flagship GT series. 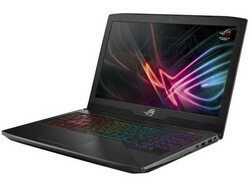 This heavy gaming notebook is defined by its per-key RGB lighting, 1080p display with 120 Hz refresh and 5 ms response time, more rigid chassis, dedicated subwoofers, gold-plated 3.5 mm audio jacks, and the GTX 1070 GPU for a 50 to 60 percent graphics boost over the GTX 1060 in the GF72VR. Clearly, a good number of gamers out there like to go all out at the $2000 mark and we can't really disagree with this choice. What can we deduce about the purchasing habits of gamers based on this list of popular sellers? For one, the $800 to $1400 USD price range defines what most users are willing to spend on a gaming notebook with GTX Pascal graphics. Meanwhile, those who want enthusiast-level performance are more likely to draw the line at the $2000 USD mark for a GTX 1070 GPU. Size and portability are still factors as evident by the two thinner Asus models but perhaps not to such extreme levels where the MSI GS series or Asus Zephyrus series reign supreme. It's satisfying to see gamers considering 120 Hz panels with fast 3 ms or 5 ms response times as ghosting was a huge issue for fast-paced games on older gaming notebooks. As suspected, headline-grabbing specifications and features like 4K UHD resolutions, ultra-sleek form factors, and GTX 1080 GPUs are nowhere to be found despite the heavy marketing push towards flagship models like the MSI GT series and the Asus G75x series. Users are certainly interested in reading and learning about the latest and greatest, but price is still the ultimate factor when it comes to the final checkout page. Will consumer purchasing habits change in 2018? We'll update this page again later in the year to check up on any ranking shake-ups especially with Coffee Lake-H on the horizon. Until then, our comparison benchmarks below should give a rough idea on the size and performance deltas between the 10 models mentioned here.